We recently took our first trip to Disneyland. It was an exciting day! 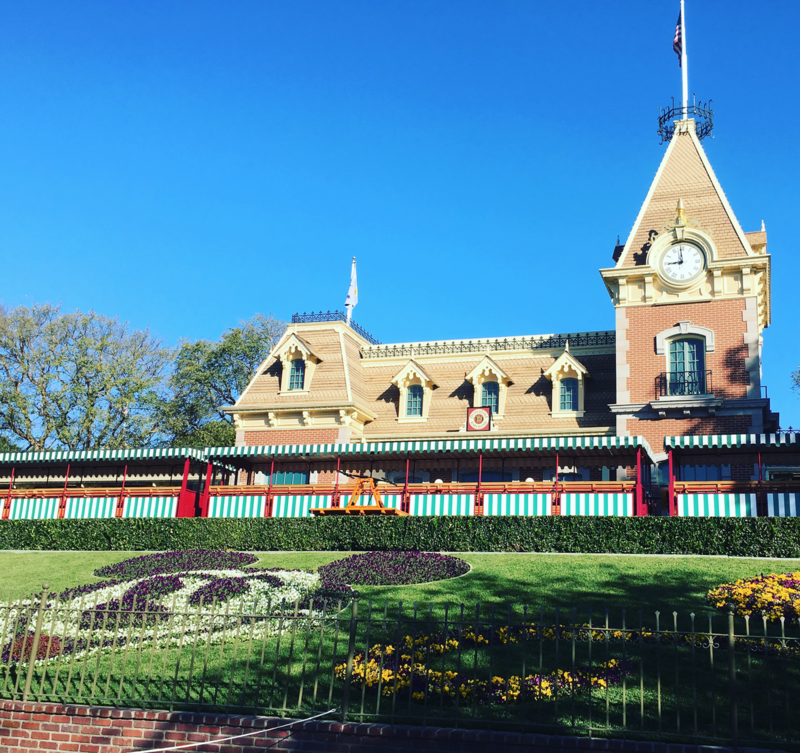 I wanted my kids to experience and remember the classics like Pirates and Small World, plus also test out the rides I didn’t know at Disney California Adventure, like Cars. We only had 1 day to spend (and only so much money in the budget! ), so we visited both parks in 1 day with a hopper ticket. 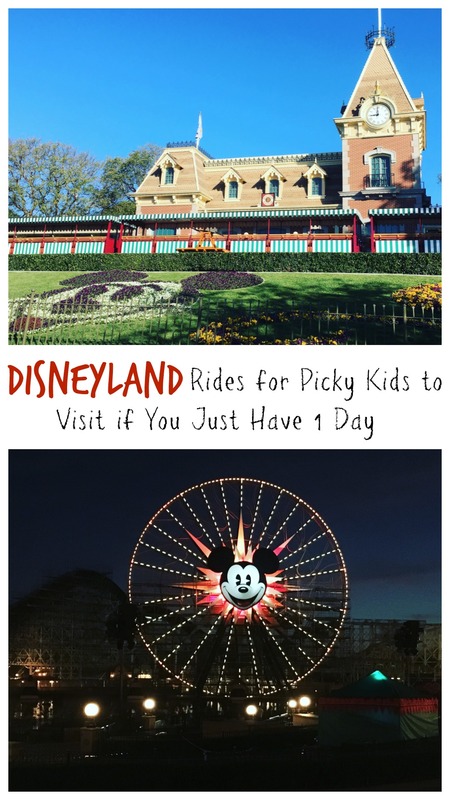 We focused on Disneyland rides for picky kids because that is what I have. Children who don’t run for the tallest and fastest rides first. It’s impossible to go on every ride and see every show in both parks in 1 day. 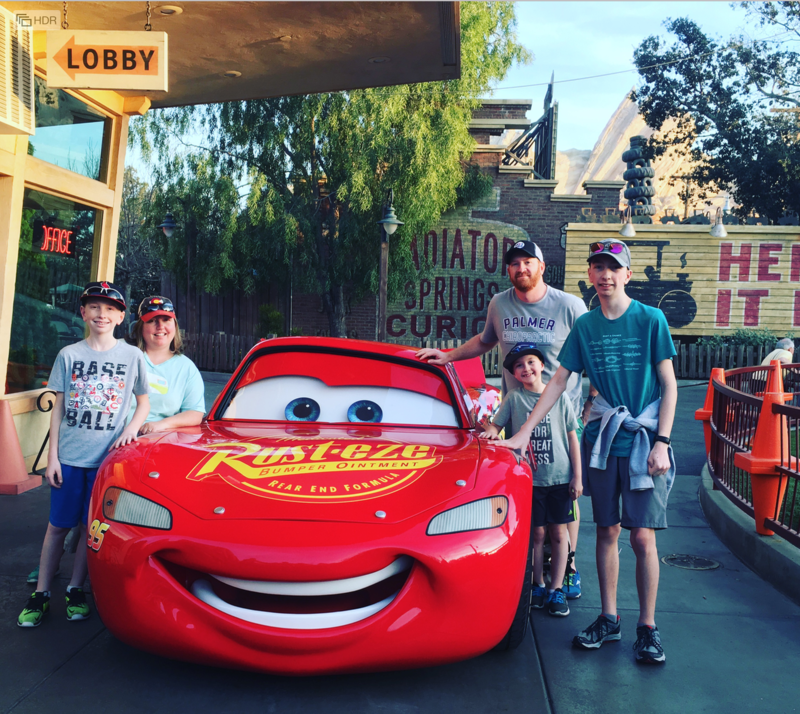 I’m writing this post to share with you the family-friendly favorites and must see rides to fit in to help you plan out your day. Take note that the time of year you visit and busy crowds will definitely be a factor. We went the first part of February which was perfect. I don’t think we waited more than 25 minutes to ride anything and usually not even that. Time. We opened the park and closed it. 9:00am to 9:00pm. I watched the time and made sure that we crossed over to the other park after half the day was over. Map it. When you come in go right or left based on your must-have ride(s) then follow in a circle so when half the day is over you will be at the front of the park again to easily cross over to the other park. Use FastPass. 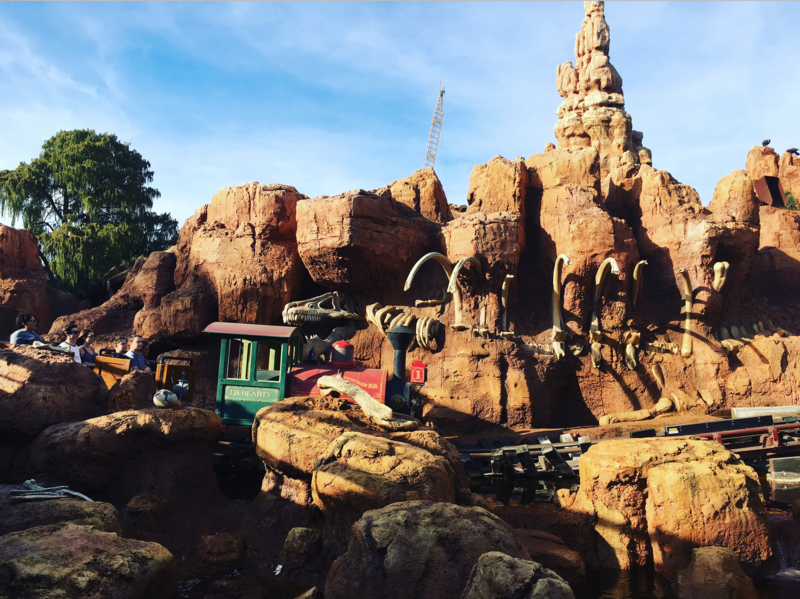 It’s free at Disney and you can use it every 2-hours for a ride. Find your ride ahead of time to access your FastPass early, then come back when the time tells you to and get in the special line. It’s really slick! My boys are all different on the ride spectrum. My 15 year old will go on almost anything unless it drops or goes upside down. This is my Up-for-anything Child. My 8 year old will try new rides if they don’t look or sound too scary. Not-too-picky Child. My 13 year old is difficult and gets very nervous. He won’t go on anything that most people would call the ‘super fun rides’. He wants calm and easy. All the rides I have listed are okay with him, unless noted. Picky child. Disneyland. We ventured into Main Street and went left to hit Adventureland first. Remember we couldn’t do everything in half a day, so many sites were skipped. Indiana Jones Adventure. I compare it to Spiderman at Universal Studios if you know that one. It’s a bumpy ride, not a roller coaster, but does jerk and turn you pretty fast. We all absolutely loved it, except the picky child. Disney California Adventure. We again turned left but didn’t visit anything in Hollywood Land (we somehow missed Monsters Inc which would have been a good one for the list), except Guardians of the Galaxy which none of my kids would ride. Hubby and I rode it without them. I hated it and Hubby loved it. hahahaha. Not family-friendly. Radiator Springs Racers. Family favorite. We rode twice – once in the day and once at night with the lights. So fun! Cars Land itself has cute places to visit from the movie and photo opps with the talking/moving characters so be sure to get in line for that. Soarin’ Around the World. Fabulous ride, but picky child will not ride again because it’s the illusion of you being in the open high sky and you really feel it. Super cool. It doesn’t seem like we went on as many rides here, but we spent a half a day. 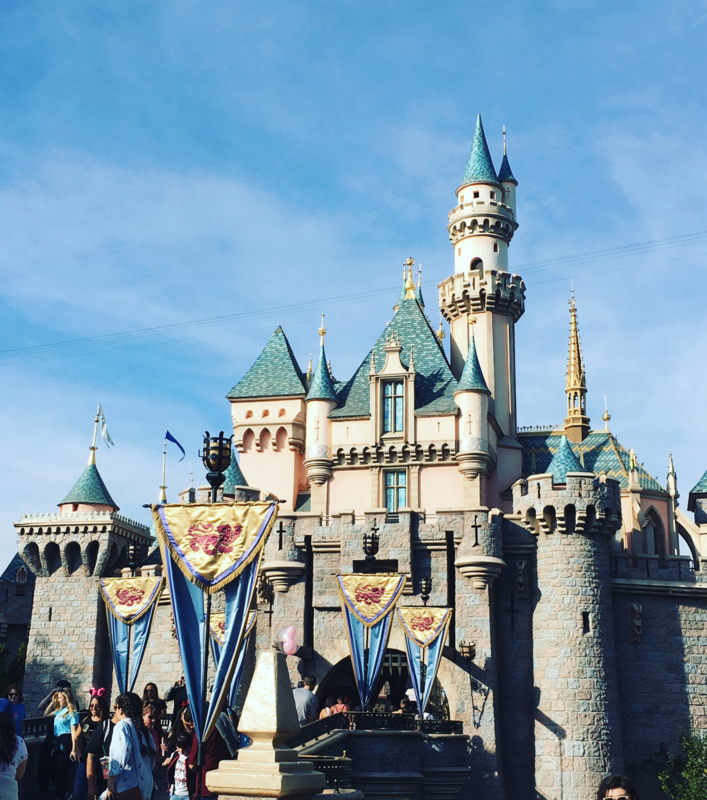 I didn’t mention Disneyland Rides for Picky Kids, that my picky child would not go on, but Hubby, Up-for-anything Child, or I went on a few more. We are lucky that my oldest are teenagers and can leave them for a few minutes with their little brother. The World of Color light show at night is awesome. I hope that helped your family plan a fun day, especially with picky children! Any Disneyland Rides for Picky Kids that I missed that are must? We Climbed a Mountain on our Family Playdate! My daughter,her fiance and my granddaughter were there last wk on Thursday & Friday. The weather was warm, its usually bad weather. When were you guys there? Its definitely the most fun place to go. In glad you guys had a good time. Sounds like a fun day! My daughter and I may be considered picky- we don't like roller coasters that are too bumpy! My son loves ALL of the rides! When we lived in Southern California we took the kids to Disneyland every year. That was before the second park opened, but we were there from open to close. I'm the one who wouldn't ride the roller coasters, and got nauseous on a couple of the rides that made you feel like you were in a boat on a rather choppy ocean. All in all, I love Disneyland. boy, you really packed in a lot of adventure in one day!